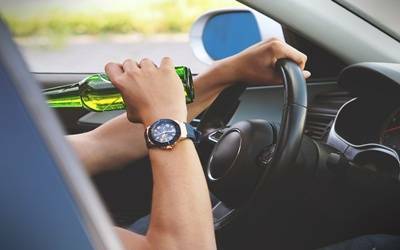 Canberra, Sep 6 (IANS) A 24-year-old Indian charged with "high-range" drink driving and "driving while disqualified" in Australia received a 10-month suspended sentence on Thursday. Surya Teja Penugonda from Telangana pleaded guilty to both charges. In Parramatta local court, Magistrate Brett Shields placed him on the suspended sentence and disqualified him from driving for nine months. Penugonda, currently living in Australia on a student visa, was also fined $750, South Coast Register newspaper reported. The incident took place on July 8 during which Penugonda, driving a Mitsubishi 380 sedan, was pulled over by the police in south of Nowra. He was with four other people in the car. Court papers said the police had received calls about "the manner in which a sedan was being driven on the Princes Highway at Falls Creek". Officers spotted the vehicle about 6.26 p.m and stopped the car. Court papers said officers had witnessed the vehicle swerving between lanes and it almost collided with the nearside gutter when it came to a stop. According to officers, Penugonda smelt strongly of intoxicating liquor, however he claimed he had nothing to drink. Police said he was driving on an international licence and had been disqualified from driving for a minimum of 12 months after being caught "high-range" drink driving on January 6. Penugonda was also supposed to have an interlock device fitted to his vehicle. It took three attempts to successfully provide his breath test, which was positive. The police said his eyes were bloodshot, his pupils dilated, his breathing was slow, speech was slurred and he was clumsy. He later admitted to the police that he had six glasses of wine that day. The court ordered Penugonda to have an interlock device fitted to his vehicle for four years.